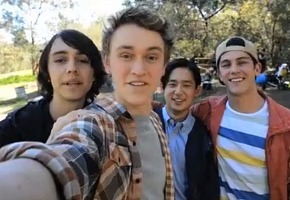 Season Two of ABC3’s Nowhere Boys is back next month. The series will premiere with a double episode. This season includes the first drama episode directed by Rachel Griffiths. In season two, Jake, Sam, Andy and Felix discover that despite making their way back home, the adventure has not stopped and that they are not the only ones who crossed back into their world. The series, starring Dougie Baldwin, Joel Lok, Rahart Adams, Matthew Testro, has been nominated for an International Emmy Kids Awards and in the Screen Producers Australia Awards. 6pm November 23rd on ABC3.